Writing in the Washington Post, City University of New York English professor Cathy Davidson recently revisited some studies Google conducted on its own workplace, wondering if it suggests new directions for colleges. She looked at Google’s 2013 Project Oxygen, in which Google examined its hiring process “by crunching every bit and byte of hiring, firing, and promotion data accumulated since the company’s incorporation in 1998,” Davidson wrote. “Project Oxygen” had focused specifically on managers, but it was a fascinating example of a company turning data analytics back onto itself to achieve better outcomes. Google created an internal “people analytics” group in a quest to jumpstart data-driven change, according to a 2013 article by Harvard Business School professor David A. Garvin. They abandoned it within a couple of months, after “too many people went directly to Page with questions about expense reports, interpersonal conflicts, and other nitty-gritty issues,” Garvin noted. Digging deeper, the researchers ultimately identified eight behaviors that Google’s highest-scoring managers had in common — like coaching and development as well as empowering, rather than micromanaging. One software-engineering manager said he learned more from six months of Project Oxygen initiatives — like surveys and manager training — than he had in his previous 20 years in the workforce. On the Post’s site, some commenters quickly noted that by “top employees,” Davidson means managers and not programmers. “Those are two different things. You will find that coders at Google are highly valued for their technical skills,” one wrote. The article attracted several commenters who disagreed. Then, there’s another perspective: that maybe employers are overvaluing the importance of college altogether. And there’s a data-filled study exploring that issue as well. In today’s workforce, one survey found, more than half the candidates with relevant experience are rejected in favor of college graduates, even for jobs which never used to require a degree. And this is especially true for middle-skill jobs (requiring education somewhere between a high school diploma and a college degree), according to Harvard Business School professor Joseph Fuller. Will the ambulance fleets of the future include drones? What’s ahead in 2018 for space exploration? Science and technology predictions for 2018. Can Amazon (or Google) re-invent the book? New KickStarter project wants to 3-D print the entire skyline of downtown Chicago. How the Library of Congress adapted to the digital age. GNU.org releases a new text editor-building development kit. Spa.mnesty.com: new site plans to waste the time of spammers. A mathematician ponders chess on an infinite keyboard. Record-breaking new Rubik’s cube has 33 squares on each side. A Rubik’s Cube made from ice. How Hotmail changed Microsoft (and email) forever. How Sweden is embracing a robotics revolution. Robots in US factories: what their human co-workers say. An interview with Sofia the robot: Someday robots will program themselves. 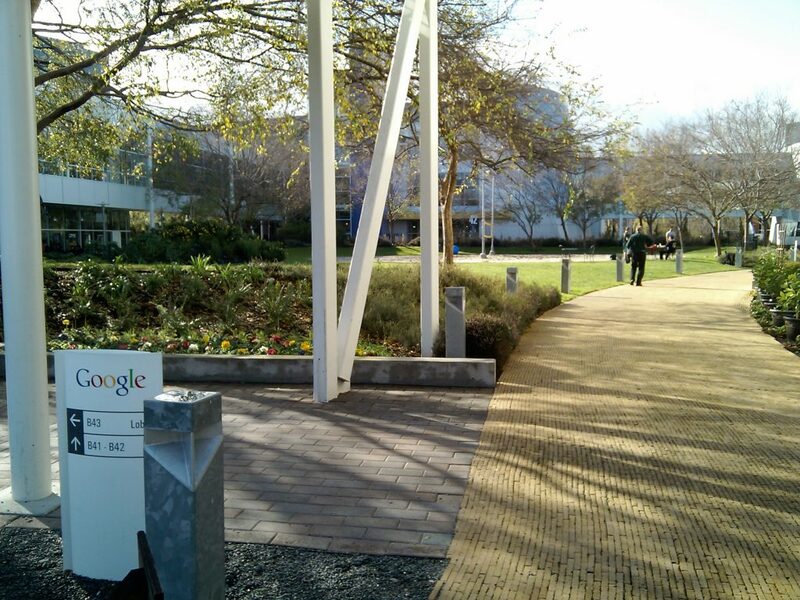 Feature image of the Googleplex via Flickr, under an Attribution-ShareAlike 2.0 Generic (CC BY-SA 2.0).